The Jamia Hamdard University, New Delhi is one of the reputed medical colleges of India. This is college is Deemed to be University. It was established in 1989. The Jamia Hamdard University, New Delhi has recognition under the MCI (Medical Council of India). The college is has been given Grade ‘A’ under NAAC. It is recognised under the UGC act. 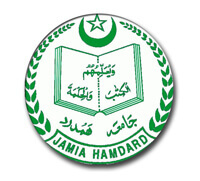 The Jamia Hamdard University, New Delhi provides quality education to students. It has modern laboratories, library, sports, research facilities, and clubs. Students can get admission on the basis of their marks in NEET 2018 exam. The student should appear in the NEET PG 2018 exam. National Institute of Mental Health and Neuro Sciences, Hosur Road, Bangalore MVJ Medical College & Research Hospital, Hoskote Bangalore Acharya & B.M Reddy College Of Pharmacy Rajiv Gandhi Medical College College of Audilogy & Speech Pathology, Pune.